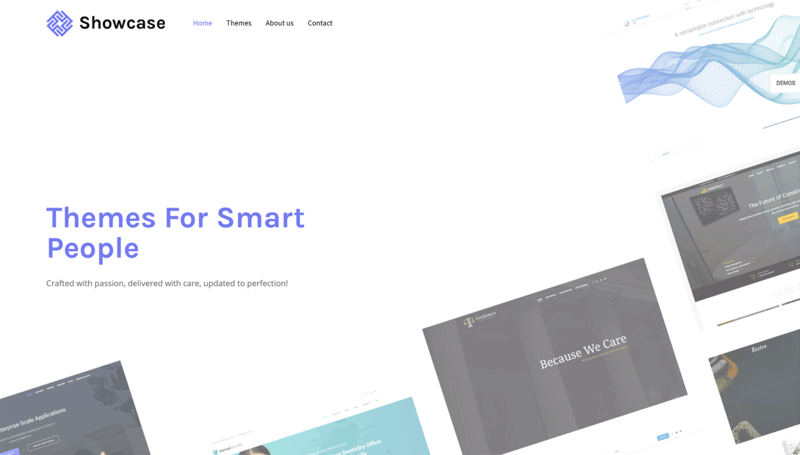 8b is a newly released website builder that’s currently totally free to use. In this 8b review, we take a look at the best features of this website builder as well as walk you through the process of launching a site. So if you’re looking for a quick, easy, and currently free way to launch a professional-looking website today, then 8b Builder could be the tool you seek. But before you sign up, first take a few minutes to read our hands-on 8b review to find out if this is the website builder you should invest your time in. 8b is a browser-based website builder that’s currently free to use. 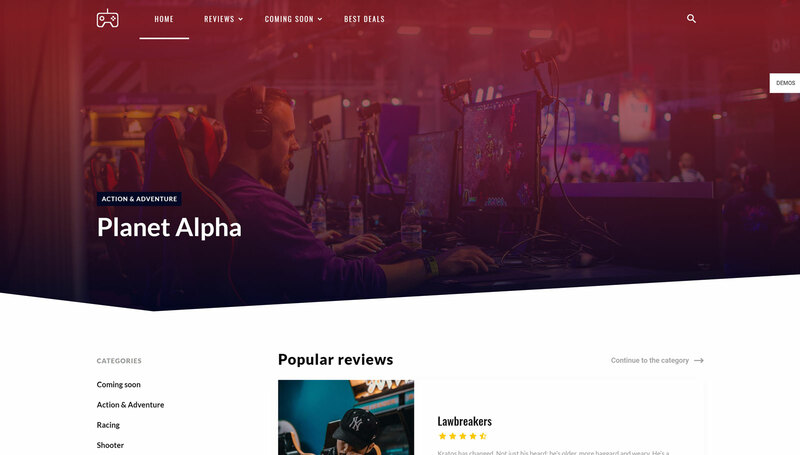 After testing this website builder for our 8b review, it’s fair to say that nearly everyone reading this article should be able to get a professional-looking website online in a few hours or less with this tool. With a good selection of templates available, as well as lots of sections that can be used to add more content to your website, 8b should be powerful enough for most standard website projects. Everything produced in 8b is fully mobile responsive so that your site will look great on smartphones. In fact, you can even use 8b on a mobile device to create a website on your smartphone. You don’t even need a domain name to launch your site as 8b provides you with a free SSL subdomain for your site. There’s also the option of using your own domain name when you’re ready and even in this case you get a free SSL certificate for your website. However, if you need to create something more advanced than an online portfolio, a corporate website, or a landing page, such as a membership site, discussion forum, or marketplace, then 8b probably isn’t the tool you’re looking for. But for everyone else, 8b could provide you with everything you need, all wrapped up in an interface that’s easy to use. 8b websites are based on Google AMP (abbreviation for Accelerated Mobile Pages). This is an open source HTML framework that makes your pages load quicker as to smartphones to improve the mobile user experience. Hopefully, the above information in our 8b review has piqued your interest in this website builder. If so, here are some of the best features before we move onto our evaluation of the process for creating websites with 8b. 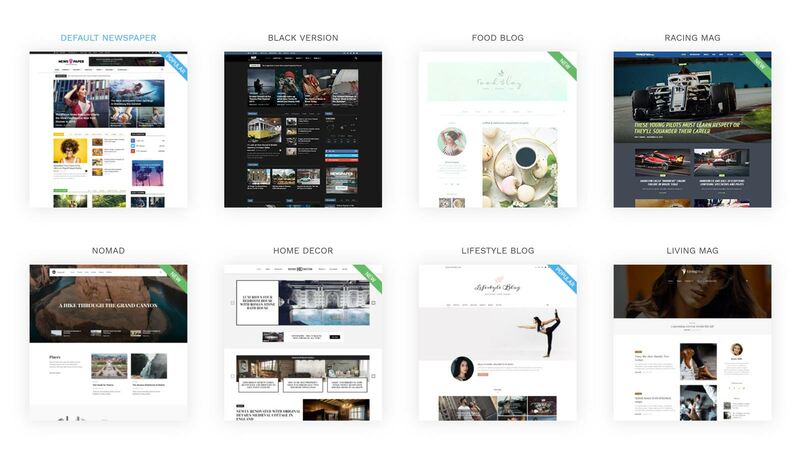 To help you quickly create a wide range of websites with this tool, 8b includes an impressive selection of templates. In fact, there are currently 18 designs to choose from. The templates are all fully customizable, giving you a good amount of control over how the homepage and other pieces of your website look. The templates cover a range of styles or projects. However, they all share a fully modern and up-to-date design that will give your website a professional look. While the templates have all been designed to a high standard, you can easily add to them by inserting any of the sections available to users of 8b. 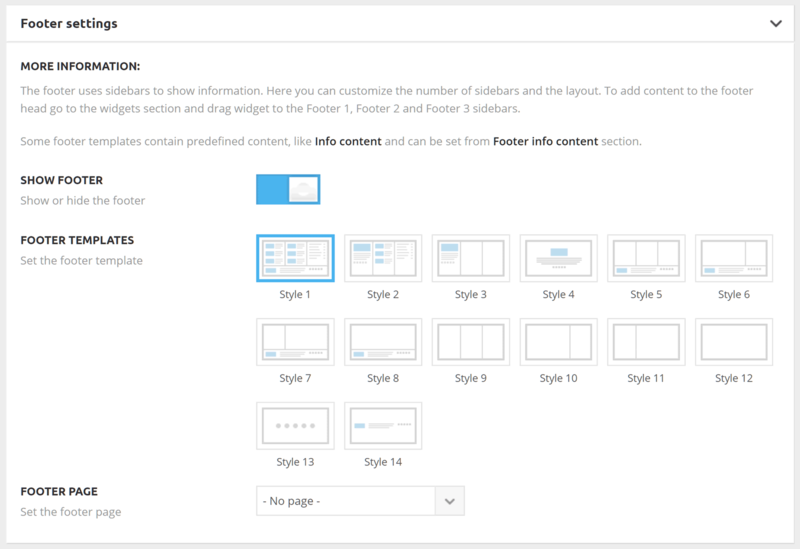 When editing the templates in the 8b website builder, you can insert a range of sections into your pages. In fact, there are over 250 sections available at the time of writing. These sections cover a range of purposes, such as adding headers, feature tables, testimonials, and more to your site. Furthermore, there are multiple versions of each type of section, giving you lots of options for adding pricing tables, team member profiles, videos, and more, to your pages. 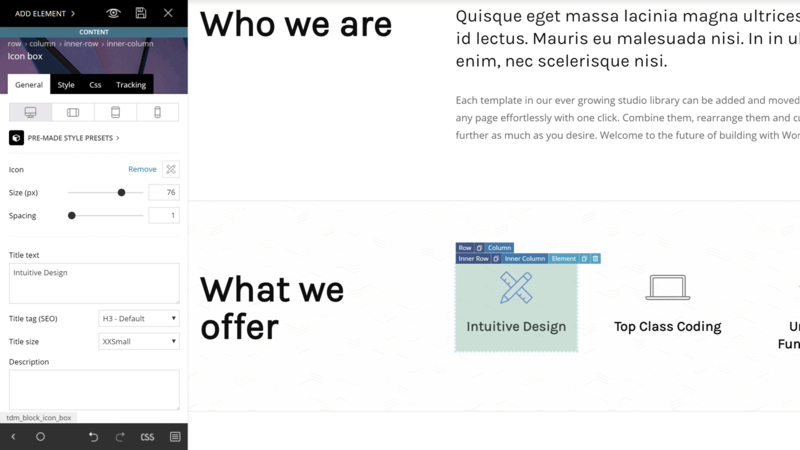 Like the 8b templates, the sections can be easily customized to match your website vision. We’ll cover exactly what the customization process looks like in the user experience section of this 8b review, suffice to say that it’s very intuitive. More features are expected to be added soon. This includes the ability to turn your site into a mobile or desktop app, an option to export a full copy of your site that you can take away and host anywhere you like, and a white-label option that lets your clients edit content without any 8b branding getting in the way. Perhaps the best feature of 8b is the intuitive website builder tool itself. The templates are great but if you can’t easily edit them and add your own content, then it would be hard to recommend 8b. As it is though, creating a website is very straightforward with this builder. The next section of this review covers the user experience and interface of 8b in more detail. However, if you’d like to see it for yourself, you can sign up and start creating your website now for free. Getting started with 8b couldn’t be easier. Simply visit the 8b website and login with your Google or Facebook account or sign up with an email address. Once you’ve gained access to the site, you can start creating your own custom website. To help you get your new website online as quickly and effortlessly as possible, 8b gives you a selection of templates to choose from. With most types of websites covered by 8b, there’s a good chance you’ll be able to create a suitable site with 8b. Once you’ve chosen a template and given your site a name, you can start the customization work. As mentioned earlier in this 8b review, all the work takes places in your web browser. This means there’s no need to download anything. Simply click on a page element to start editing it. For example, if you want to change the text content in your chosen template, just click on it and start typing. As you can enter the text directly into the page, you get a live preview of how your site will look when it goes live. This helps you format the text to look its best on your website. If you want to change the other properties of your page, such as the background image of a section, then that’s very straightforward too. Simply click on the familiar gear icon and then you can see the section parameters. Once the section settings are visible, you can then choose a background color or set a background image. As well as using the images provided by 8b, you can upload your own images to use as the background display. Another nice feature of 8b is that it makes it easy to apply a totally different layout to a section. As you can scroll through the different section layouts, you’re never limited by the properties of the original template you chose when starting your site. Although the controls for customizing a template are very easy to use, if you want more control over how your site will look, you can choose to view all the settings. 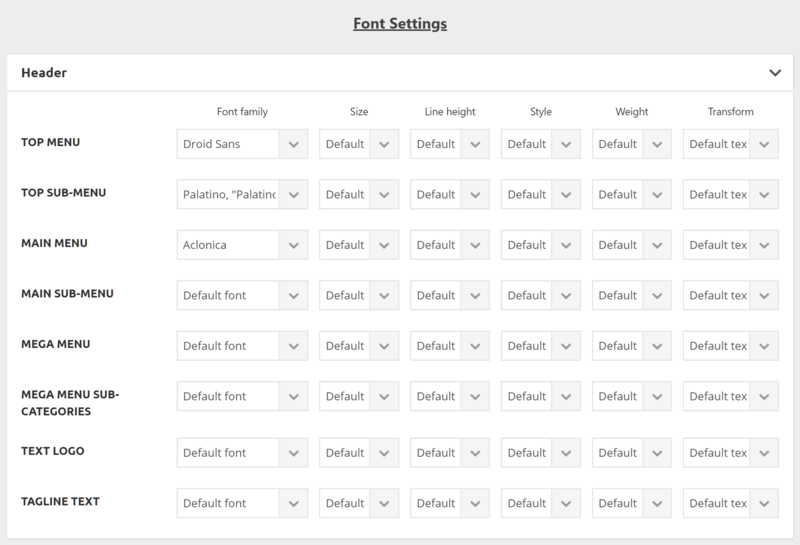 For those totally new to building websites, these settings might seem a bit complicated. Therefore, it’s good to see that they are hidden by default. However, they really aren’t that difficult to get to grips with if you do decide you need more control over the properties of your page so don’t be scared to explore the settings. Depending on the section you’re working on, these settings let you quickly enable or disable some of their components. You can also change the layout and other display properties. Each section has its own settings. This helps keep things simple by only showing you the controls that are relevant to the page section you’re working on. As mentioned above, 8b empowers you to build websites using a smartphone or tablet. In this case, creating a web page is not nearly as difficult as if you work on your PC. You just tap on the same buttons to get into the menu, open the section settings or the section panel respectively or tap on the text to change it or make it bold, italic etc. The app design is mobile though, it’s pretty much the same – very easy and user-friendly. Once you’ve finished work on the homepage of your new website, you can start adding extra pages if necessary. As the templates in the 8b library would work well for one-page sites – thanks to all the different homepage sections – you might not want to add any more pages to your site. However, if you do, the process is very straightforward. After you’ve created a new page – by clicking on the add page icon and giving it a name – you can start work on adding content to it. To keep things simple, the navigation menu bar from your homepage is applied to any new pages you create. 8b makes it very easy to build new pages. Simply click on the add section icon and then choose which type of section you want to add to your page. Once you’ve chosen which type of section to add, you can then choose which version of that section you want to add. So for example, if you want to add a pricing table section to your page, you can choose from four different types of pricing tables. Some sections have more variations than others, but you always get a good range of options with 8b. Once you’ve added a section to your page you can edit it as before, by simply clicking on it to customize the content. You can also click on the gear icon to edit the settings of the section too. Again, you can scroll through the available options if you want to change the version of the section you chose originally, such as a different type of pricing table. The whole process from adding new pages to your site, populating those pages with sections, and then customizing those sections is very straightforward. Once you’ve added a new menu, you might want to update the site-wide navigation bar. This again is very easy to do. Just click on the menu area, add a new menu item or click on an existing one, then choose how you want the link to work and where you want it to take the user. A really nice aspect of the menu settings is that you can easily link to a specific section on a page. So if you want to take the user to the about page, but jump straight to the pricing table section on that page, you can just use the drop-down menus to enter these details. Adding links to external sites is easy too, as is linking to files that you can upload to your 8b website. While you’re working on your site, you can quickly preview it in a smartphone-sized viewport. This is very handy as it lets you see what your site will look like to visitors accessing it on their mobiles. Thankfully, when testing this, the website looked great and everything was easy to read and navigate. When you’re happy with your website you can publish it so that it’s publicly available on the internet. As you might expect by now, publishing your website is a simple process. As mentioned earlier, all sites created with 8b are fully mobile responsive to ensure they look great on screen sizes of all sizes, including smartphones and tablets. When it comes to publishing your site, you don’t even need to register a domain name as 8b will let you use their subdomain for free. Doing so will give you site an address using the 8b.io domain structure, such as https://23598.8b.io/ as was the case with the test site created for this 8b review. You can enter your own subdomain URL and see if it’s available so you’re not limited to using a string of numbers. However, instead of using the free 8b subdomain, you can easily use your own domain name that you’ve registered through a site like namecheap.com. When publishing your website, you also get the opportunity to submit the site for inclusion in the Google search engine. However, how well your site will rank for your target keywords and search terms depends on how well optimized your content is. If you want to make any changes to your website after its gone live, simply click the publish button again to update the site. As you can see, creating a website with 8b is quick and painless. Whether you’re new to web design or not, you should have no trouble using this tool to create a professional looking website. 8b is currently free to use. This includes access to all the templates, sections and features. There are currently no paid upgrades available meaning you get access to everything on the free account. If you already have a domain name you can connect it with SSL certificate for free as well. However, if you want to buy a new domain name – you will need to purchase one elsewhere. Although you shouldn’t pay much more than $10 per year for a .com domain name. 8b is a surprisingly well-executed website builder. So often these tools can be bloated and difficult to use, with less than impressive results at the end of the process. Thankfully, that’s not the case with 8b. 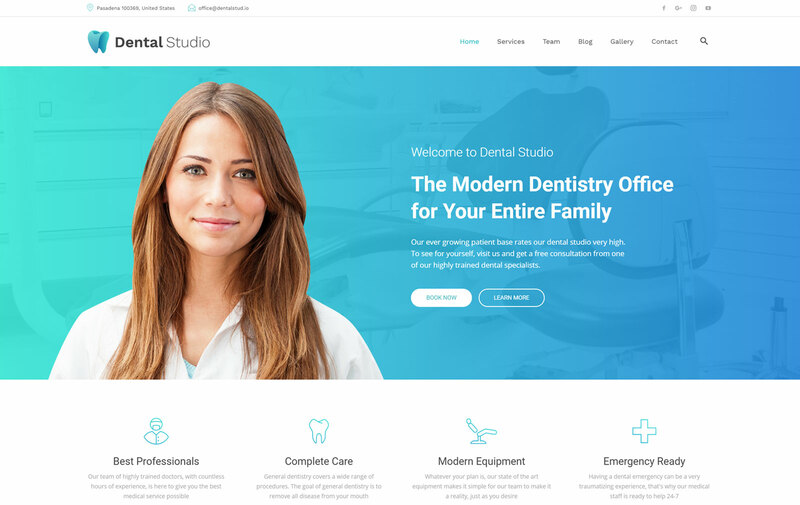 Due to the good selection of templates as well as the library of different sections, you can create a stylish and professional looking website very quickly. As all the work takes place through an intuitive interface, you shouldn’t have any trouble getting started and finishing your website in one sitting. The price for this user-friendly website building experience is a lack of options for extending your website. Unlike a platform like WordPress, there aren’t thousands – or any – plugins available that can add new features to your website. You don’t get access to the underlying code either so customizing your website beyond what’s possible via the controls available through the user interface isn’t possible either. However, powerful tools like WordPress aren’t as easy to use as 8b. Those new to WordPress definitely won’t be able to launch a website that compares well to one created with 8b as quickly as they can with this service. Therefore, if you want to launch a stylish website as soon as possible, or with as little effort as possible, 8b comes highly recommended. Just be aware that you won’t be able to carry out extensive customization work or add new features to your site. If you’re ok with that, why not sign up with 8b now for free and see what type of website you can create? 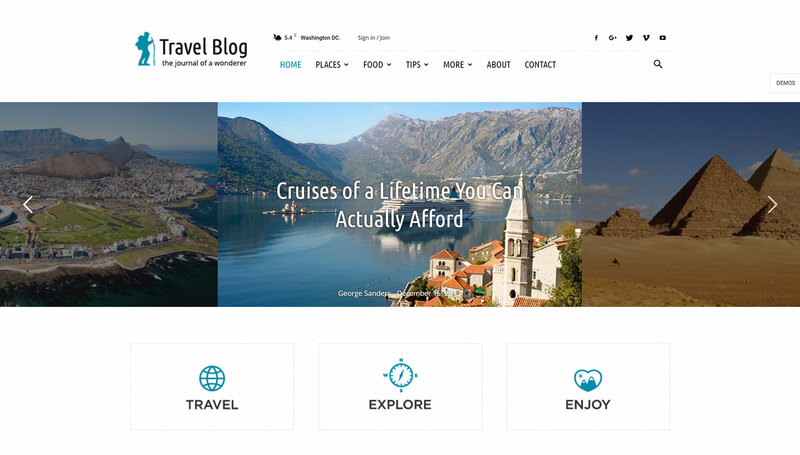 Try 8b today and see what this website builder can do! When it comes to website building, in 2019, there is no need to deal with coding. I’m sure you already know everything and anything about different ready-made digital products. These days, you can easily get everything pre-designed and pre-packed for you. For these simple reasons, there are so many eye-catching websites. People are looking for new ways to stand out from the crowd. That’s why the amount of fresh responsive website themes, plugins, assets, and web design trends increases all the time. However, when something is new it doesn’t mean that this product is 100% worthy of your attention. So, how to choose your one and only item? In this post, I’m about to help you with the final decision-making. In one of the previous posts, I showed you how to make a website in WordPress. As the name of the post says, today I’m going to review one of the 5 best website builders – Novi Builder. It is also the most popular drag-and-drop builder for HTML. In case you prefer working with HTML, you’ve definitely heard this name, as Novi Builder comes with all modern responsive HTML templates. So, what are the main advantages of working with the editor and are there any downsides? Stay tuned to figure out all the crucial things concerning the most useful page builder for HTML. and, obviously, the newest drag-and-drop technology. Do you remember how website editing used to look in 2016? It was mostly boring and contained only must-have features. Nevertheless, digital progress never stood still, so there were numerous voguish options and stylish web design elements in use. Seeing that, the creators of Novi Builder decided to add all these things to the editor’s pack. They added as many web design trends as it was possible those days. If anything was dominant on the digital market, it already was inside the Novi’s package. On the other hand, adding only popular features wasn’t enough. Therefore, the Novi team continued researching. As all the smart companies do, they wanted to study the audience to figure out the prospect’s needs. The research showed that, before all else, people were looking for comfort. and design the website with different good-looking UI components. Although nowadays it’s hard to surprise a user with drag-and-drop technology, in 2016 it was a real wonder. Plus, don’t forget that those days, the only handy content editor which provided drag-and-drop functionality was Elementor. It came with all the necessary features but was made for WordPress-based online projects only. At the same time, HTML has never been the easiest thing to work with when you are a non-techie. After a long and detailed research, drag-and-drop technology the Novi Builder used was also improved. 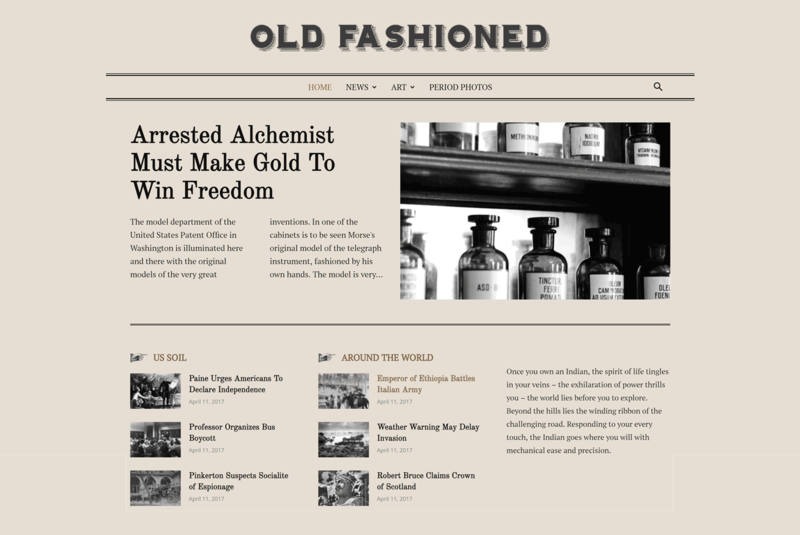 As a result, people were able to create new online pages and edit their sites by simply dragging the chosen design elements and dropping it to the editor window. It took the audience only several months to get used to Novi Builder. It became popular pretty soon. Needless to say, there were many updates made for the editor. In 2017, the creators showcased the first classic version of Novi Builder. Since then, it continues receiving regular updates that include various options, web design trends, and many additional instruments. To sum everything up, Novi Builder not only speeded up the website building process. It also brought a lot of new possibilities to the beginners who wanted to work with HTML. With it, people were finally able to design their websites not just the way they can but the way they want. As soon as Novi Builder was released, HTML site editing became a stress-free thing. That’s why it was named the best website visual builder for HTML. In 2019, Novi Builder is called the best drag-and-drop editor for HTML. To put it briefly, the builder furthers the working process and makes it simple for users of any skill levels. Working with Novi Builder, you can quickly design new online pages using various pre-designed content blocks. What is more, it also allows you to edit website content in a live mode. This step is very important for any beginner because that is how you can avoid making common mistakes when creating your designs. Would you like to see how the editor works in action? You can try to work with Novi Builder by running its demo. Just follow the link to open a free demo version of the editor. Which Business Models Novi Builder Is Suitable For? Another thing you should know about Novi Builder is that it is a B2B/B2C online platform. What does it mean? Let’s see. B2B which means business-to-business. On the internet, it’s also known as e-biz. B2B is the exchange of some products, services, items, or even information between different businesses. When it comes to Novi Builder, B2B is connected with users who use their own website templates to provide different services. The last ones are mostly related to such business niches as web design, web development, eCommerce, or email marketing. B2C which means business-to-customer. In this case, the connection refers to the transactions conducted between a company and its customers directly. Here the customer is the end-user who uses the company’s products. Talking about Novi Builder, B2C is connected to the end-users who already have their websites launched. These users can purchase any HTML template(s) they want and import the existing website(s). Thanks to Novi Builder, it’s possible without losing the site’s content. You are able to edit it with drag-and-drop technology and style it with numerous pre-packed features. As you can see the B2C model is significantly different from the B2B model. The last one refers to the commerce connection between 2 or more businesses when B2C is about 1 business only. Whatever you are going to use, Novi Builder is suitable for both business models. Which Instruments Does Novi Builder Have For B2C Model? How will this HTML visual builder help you with B2C? As all the quality tools do, Novi Builder was made with business strategy in mind. As a result, the editor comes with numerous end-users-oriented instruments. Below you can see 5 top features to work with. To say more, you can do all of these in a single click! By the way, there are some additional actions you can perform when working with Page Manager. How to reach them? Well, you simply need to use the context menu that is located on the top of the page you are going to work with. Lets you see the quick results of your editing. Needless to say, preview is an important aspect of any online project. And it becomes even more important if we are talking about your first website. Just use this options to double check your design and figure out whether it requires additional changes. Thirdly, you have Design Mode. It provides user with access to the code of the website. It does not necessary to work with the source but, in case you would like to improve your coding skills, Design Mode is just what the doctor ordered. As expected, Novi Builder contains lots of developer tools in its pack. With it, you will be able to get a new website building experience when working with HTML, CSS, and JS editor. Obviously, you are able to edit the source code the way you want. save it by clicking on Save as Preset button which locates in the context menu. 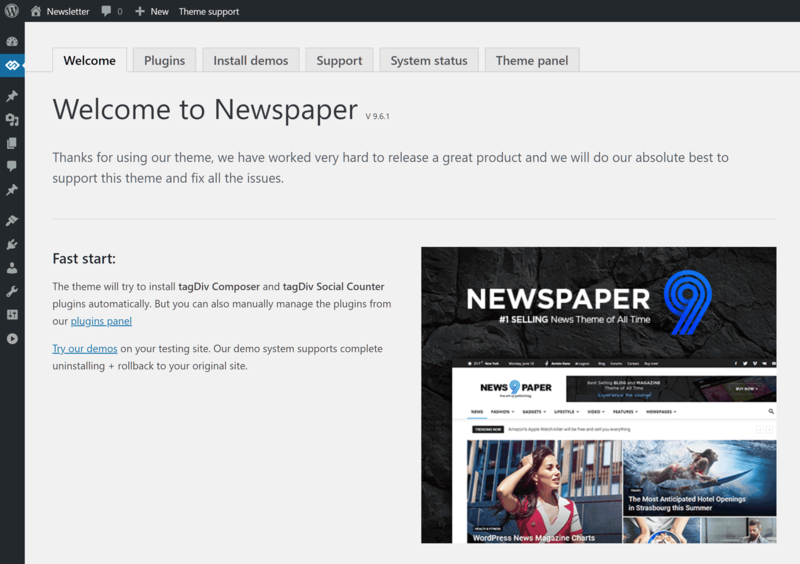 Now you can use new presets as soon as you will need to build new online pages. Simply drag and drop the preset to the editor window the way you do it with other UI components. To start with, anyone who has ever wanted to run a website knows that, to get success, you should always keep your online project up-to-date. That’s why you will need the instant publishing feature. As you can see from the screenshot below, there’s a light blue Publish Site button in the top right corner. By pressing the button, you will publish the site right on the server. Plus, you will also see there Publication Path and Configuration options. They let you change the path of the website publication. To finish with this point, I want to show you some more basic features that you will definitely look for as soon as you download Novi Builder. Change Resolution option allows the website owner to change the workspace size. Press on Settings if you want to get access to the setting of the website or its pages. 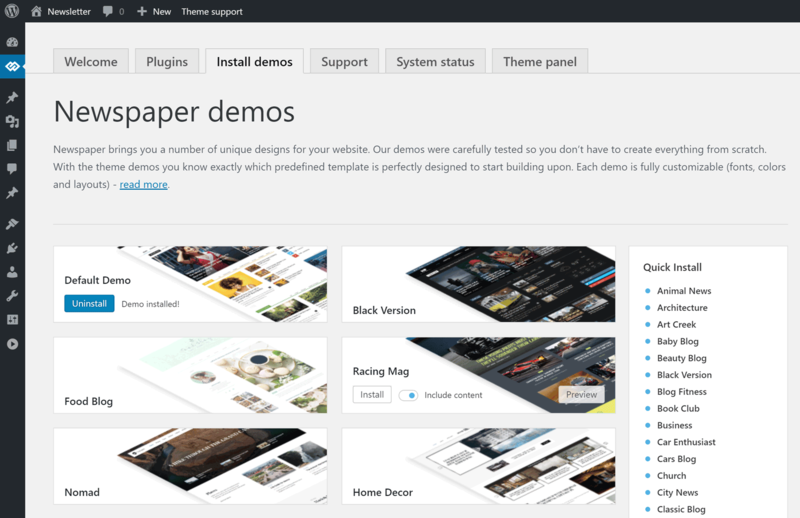 By clicking the Download Template button you can download the theme of the site. This step is a must-have for developers who need to provide clients with their sites or test these projects on other devices. Here is another point which definitely requires your attention! Would you like to start working with Novi Builder? The thing is that, to start using the editor, you’ll need to purchase Novi Membership. Which components will be included in the membership? Here they are. Firstly, you will get Novi Builder. Secondly, you will get some quality HTML templates that were professionally designed and pre-packed for different business niches. Thirdly, you will also get some must-have plugins. For example, there are such tools as social media plugins, contact form plugin, slider, countdown, Google Maps, and much more! To put it briefly, by purchasing Novi Membership, you will get access to all existing templates, plugins, assets, and web design elements. Plus, you automatically get access to those items that will be created by Novi team in the future. Without a doubt, it’s a must-have for web designers and developers. There are 3 different memberships to choose from. As always, your choice depends on your needs. Startup membership will cost you $29 per year. Advanced membership will cost you $49 per year. Developer membership will cost you $149 per year. Check out the screen below to know which options every pack includes. As you may know, many popular website builders (e.g. 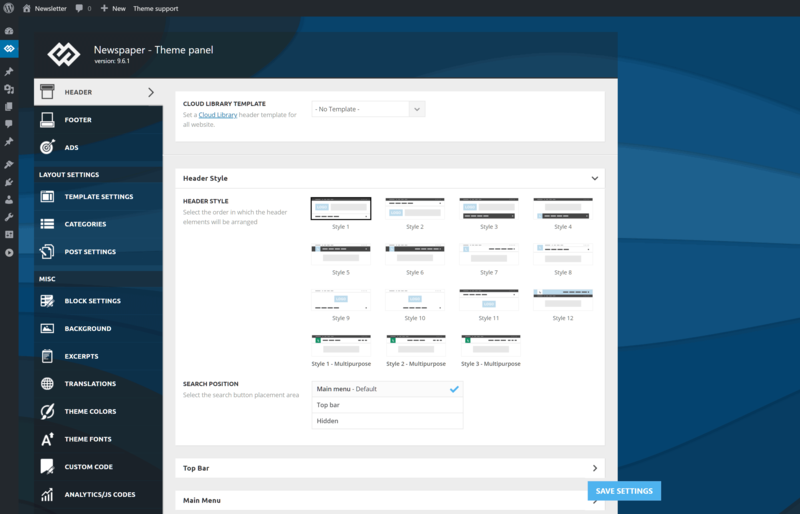 Elementor Page Builder for WordPress) are free to download. When it comes to Novi Builder, you’ll need to buy at least $29 plan to use the editor. Looks like this is the biggest disadvantage of working with Novi Builder. However, when it comes to a comfy and user-friendly website building process, $29 is not a big deal, is it? In addition, you can cancel your Novi Builder subscription anytime you want. It’s a quick and simple process. So, now, when you are familiar with all the main details, it’s time to take a closer look at Novi Builder. Let’s start with the editor’s interface. Use this link to read about top 5 free website builder software options you have. and the minimum speed of the your network connection should be 1 Mbit. How To Install Novi Builder? As always, the creators of the builder promised that installation will be fast and easy. However, in 2019, online users got used to the long manuals and endless requirements. Therefore, let’s see how you can install Novi Builder. To install Novi Builder on a local server, follow my guide. Firstly, you will need to download the software (for example, WAMP, XAMP, or MAMP) for launching the local server. Secondly, you will need to check your web server requirements and set up the server in accordance with them. Thirdly, you will need to unzip the archive with the compressed Novi Builder. Once you are through this, place the contents into one of your server directories. It will look like thenameofyourdisk/mamp/www/novi/. Fourthly, you will need to launch the builder. There will be the corresponding link. Just click on it. To install Novi Builder on a remote server, follow the next steps. Before anything else, to install the editor on a remote server, you will also need to check the web server requirements. Yep, you can’t avoid this step anyway. When you are done with the requirements, download the software that allows working with FTP. Today, the most popular ones are Total Commander 7+ and FileZilla. Next, install the downloaded software. Now you will need to unzip Novi Builder archive and upload the builder to your hosting server. Below I’ll show you this step using Total Commander as an example. So, here is how you can upload the Novi Builder to your hosting server with the help of Total Commander. fill the corresponding fields in order to specify the hosting provider data. Hosting Name – put here your username and password. Next, you will need to press the OK button. paste the builder archive’s contents you have copied and that’s it! As you may know, from the version 0.9.0, Novi Builder fully supports password protection. That’s why, in order to open Novi interface, you will need to enter pass. By default, it is ‘Novi’. Obviously, you should change it to make website building more secure. Here is what you get there. Here you will need to enter the default password. Use this option in order to enable or disable the user authorization. Keep in mind, to apply new changes you will need to enter the pass. Use this option in order to enable or disable the demo mode. Keep in mind, to apply new changes you will need to enter the pass. Here is where you should enter your new password. by creating the new pass instead of the default one, you lower the security risks. Which Plugins Will You Find Inside The Novi Builder Pack? There is no need to explain why plugins make one of the vital aspects of any website building tool. Surely, in case you already have a high-quality website template, you can work with its assets. However, getting some essential plugins with your content builder sounds like a great idea. So, which plugins you will have with Novi Builder? On average, the editor comes with 20 plugins. Here they are. To make a long story short, this plugin allows you to change the item’s background image. As all the other Novi plugins, Background Image plugin is super easy-to-use, You can change the background and twist the settings in a hitch. To add your image for a background, just double click the left mouse button on the target pic. To learn more about the capabilities of your media gallery, go to Media Gallery and open features section. You can also follow this link to read the detailed documentation about Novi Background Image plugin. This Novi plugin allows you to change the background color of an element. This is an important tool because different color schemes can easily affect your website. Keep in mind that the color of the icon depends on the tone you chose previously. To read the detailed documentation about Novi Background plugin, follow this link. This Novi Builder plugin lets you replace the images. To add your image, just double click the left mouse button on the target pic. To learn more about the possibilities of the plugin, go to Media Gallery and open features section. Also, you can use this link to read the detailed documentation about Novi Image plugin. This plugin allows you to choose the resource where your content will be displayed within a frame. To read more, open the detailed documentation of Iframe plugin. As the name of the asset says, this item allows you to change the link. favoriteLinks – allows you to configure favorite project links. Custom – where you can set a custom link. Also, I should add that, by default, the Custom tab will be opened. The only exception is the case when your link on a chosen element corresponds with one of the pages or with a favorite link. To read more, check the detailed documentation for Link plugin. To start with, let’s say a couple of words about Parallax scrolling. Although the effect was originally created to be used in video games, Parallax is still on the top of web design trends. It creates an attention-grabbing illusion of depth and motion. As a result, you can guide visitors through the content of your website in a beautiful and interactive way. So, this Novi Builder plugin works with Material Parallax script. It allows you replacing the source images that will be used for Parallax. There will be nothing complicated. You can easily do it via visual editing tools. No coding required! Choose File – press this button in order to select the needed image. Upload Background Image – press this button in order to upload the image you selected. This Novi Builder plugin was made to allow you to change the label of the form field. As you may know, these days, countdown timer is among the most useful web design trends. This small but smart element allows you to showcase lots of things in a minimalist way. Actually, for today, it’s the most comfortable way to showcase any important info and here is why. In fact, the human brain is a weird and complicated mechanism. It recognizes visual elements faster than other types of information. That’s why counters are your must-have. To say more, our brain remembers visual info for a longer period of time. With the help of counters, you can introduce all the projects you completed, show how many happy clients or successful ideas you have and much more. So, when it comes to countdown timer, it allows you to highlight the needed info or event, For example, you can use the timer to show how many hours a customer has until the beginning of a sale or the end of a special offer. Although, in 2019, you can see it on any website, maps plugin is still a nice thing to have. Modern prospects got used to comfort, so they are expecting you to provide online maps. Besides, by using Google maps for your online project, you make it even more customer-friendly. As a result, people can see where your office is located and choose the shortest way to it. Novi Builder comes with Google Maps plugin which allows you to change maps settings visually. Marker Icon and Active Marker Icon select options to set the marker for the default and active states. use Add Marker button in order to add the Marker Location and the Marker Description group for adding the new marker. This Novi Builder plugin will help you to replace the icons you use on the website. To choose the icon for pasting, double click the item with the left mouse button. In 2019, carousels are still in vogue. Novi Builder comes with Owl Carousel plugin which allows you to configure carousels without touching a single line of code. Visible Items field will help you to define the number of items to show up. Using the feature, you can make the number of the visible items change depending on the screen size. Indent Between Items field will help you to set the spaces between the carousel items. Using the feature, you can make the distance between the items vary depending on the screen size. Enable Loop Switcher will help you to enable or disable the carousel loop. by the way, you can do it in preview mode. Carousel Autoplay Switcher will help you to enable or disable the carousel autoplay. It also comes with preview mode. Carousel Autoplay Delay field will help you to set the sliding delay. This Novi Builder plugin will help you to configure the form to work with the Campaign Monitor service. Campaign Monitor Input Name field defines the value of the name attribute of the input field. Needless to say, newsletter subscription is still one of the must-haves for any online project. Why? Well, because that is how you can quickly enlarge the audience of the website and keep people engaged without running out of the budget. 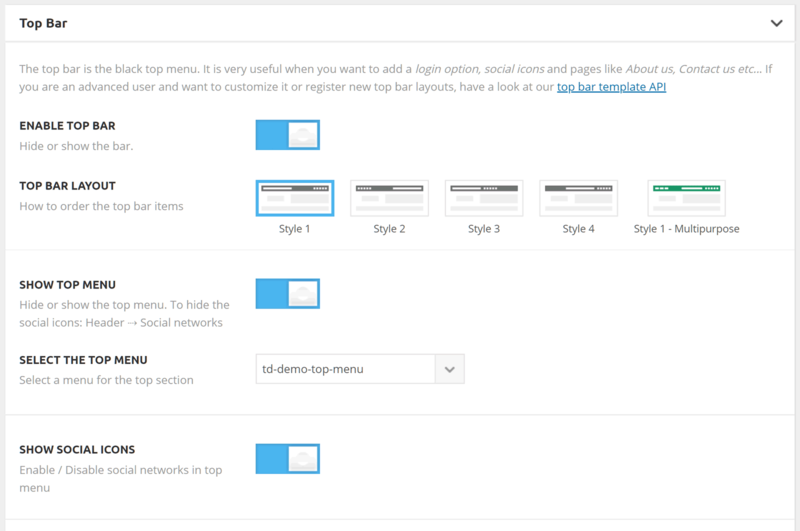 So, this Novi Builder plugin allows you to configure the work with MailChimp service. Same to the previous tool, this Novi Builder plugin allows you to work with RD Mailform using visual editing. These Novi Builder plugins were made to boost social media activity. In case you are going to get some social traffic, don’t miss these assets. Both plugins are easy-to-use and allow you to set up Instagram and Twitter feeds with the visual editing tools. This is another must-have plugin Novi Builder provides you with. The asset allows you to configure the camera slider effortlessly. This Novi Builder plugin lets you setup the Swiper Slider up to your taste. Upload Background Image button allows you to upload the selected image. To add an image, you will need to double click the left mouse button on the target image. use Keep Original Aspect Ratio setting for preserving the aspect ratio of the original image. Use this Novi Builder plugin to set up your visual showcase. Use this Novi Builder plugin to setup Light Gallery using visual tools. Gallery Autoplay Delay field allows you to configure the time of item delay. So, these were all the plugins that come with Novi Builder. To sum everything up, here is what you get. build elegant carousels to improve your visual content, etc. Needless to say, these were just to name a few! In fact, Novi Builder comes with numerous amazing design elements to enrich your site. Now, it’s time to answer the most popular questions about working with Novi Builder. Does Novi Builder support different browsers? Yes, it does. Besides, it’s regularly tested in the most popular browsers: Safari and Google Chrome. Will I be able to use Novi Builder and its templates for different online projects? To begin with, you can run an unlimited amount of various websites using the builder. Thus, yes, you surely can use Novi Builder for different sites. Can someone buy Novi Builder on third-party sites? Basically, it’s possible to buy Novi Builder on other sites. However, keep in mind that you won’t get a free membership. It won’t be possible even in case you made a purchase on a third-party site. Can I transfer my HTML-based website to Novi Builder? As I have already said above, you can transfer your existing site to Novi Builder without losing its content. You will get them automatically as soon as the updates are released. In addition, you can download the newest HTML templates in the ‘Downloads’ section of your personal account. Yes, working with Novi Builder, you can get a full refund. It comes for any of editor’s membership plans. You can get a refund within 30 days after the purchase. Can i sell templates that were made with Novi Builder? Yes, you can! The builder was made for designers and developers. Just choose the Developer plan. It gives you the license to create and sell the templates empowered by Novi Builder. You can sell them on any third-party marketplaces. Is it possible to use Novi Builder template for my websites without changing the design? The answer is yes. You are able to manage multiple websites made with Novi Builder themes and you don’t have to change the design in case you don’t want to. To sum everything up, I’d say that Novi Builder provides its users with the ace and thoroughly featured HTML templates. They are pre-designed and can be used by people of any skill levels. However, the themes are fully editable and come with open source code. So, by taking the subscription, you get access to a rich collection of different website templates, plugins, and other content elements. Needless to say, there are some more UI components coming. Novi Builder receives regular updated that will be installed automatically. It means that you will always have some trendy features to choose from. When it comes to such business niches as web design or web development, Novi Builder is a real must-see! Just imagine how many online projects you can run for your customers using the editor. All in all, there are no limits at all! To end with, let’s compare Novi Builder to the default HTML Page Builder. What about your choice of website builder? Don’t hesitate to leave a comment below. Online reviews have become one of the biggest monopolies of the modern technology era. The number of review sites has grown exponentially, but there is no way to distinguish between legitimate and illegitimate reviews at any given time. Even sites like Amazon are known to be full of reviews from paid people. A discount or a special offer to leave a simple—and preferably good—review about the service you are using is pretty hard to resist. This is the kind of strategies that businesses have started to employ in recent years. Online reviews are probably the best source of business for any online entrepreneur. Nothing beats a good customer review that embraces the full and personal experience of the user giving the review. Embracing your own online reviews is also an important part of the success of a business. Knowing how to react and respond to certain reviews is crucial. The following review plugins for WordPress allow you to integrate, organize, publish, and respond to online reviews and testimonials directly from your customers. This is with the exception of a select few that integrate reviews from third-party sites. Some plugins allow you to become a reviewer yourself. They offer features that let you review products, businesses, and things like books on your own WordPress site. Sometimes, it’s a hassle to put together good-looking review posts without a previously built template. If you have an idea for a WordPress website but don’t know how to create one, you might want to read our detailed WordPress website setup guide. Wiremo is a customer review plugin that provides spaces for customer feedback. It works for physical products and services websites and is connected through social media on Facebook, Twitter, and G+. It has two versions, that is, with basic and enhanced features. Overall, both versions provide 24/7 custom support. For the layout, you can scroll down a one-page design. Wiremo also uses free widgets and a powerful dashboard to display all information. Posts can be seen as lists of items to click on. You get a banner set of images or even publicity! This plugin connects more with clients and features blogs, FAQs, and custom review posts. It is user-friendly with free and constant updates. It is also fast and responsive, thanks to its SEO integration. This makes it cross-browser-compatible and adaptable to all screens, too. You have the option to get a free trial. Try any of its versions, and if you like the basic, go advanced for $9.99 a month. Book Blogger is a review plugin for book readers. If you’re an avid book reader that writes book reviews, try upgrading your book review software. The Book Blogger plugin is a simple review platform. It offers custom prebuilt fields for reviews that will blow your audience away. With features like automatic data fetching from Google Books and Goodreads, you will be saving a lot of time. You can easily curate essential information about the books you are reviewing. For heavy readers, there is an option to review multiple books at the same time. You can further extend Book Blogger with the use of widgets, such as a social media follower box. Also, you can display the kind of books you are reading at any given moment or list your recent reviews. If you want to one-up yourself, you can always display the number of books you read within 365 days! Without question, Google is a place where businesses begin. Google knows this, hence its review platform that helps search engine users learn more about a business without having to visit external review websites. The Google Places Reviews plugin has extensive shortcode features. These will literally allow you to showcase every single detail about your business. The info will be based on the kind of information that Google reviews have collected about you. This kind of plugins has a huge impact on the way others view your business credibility and reliability. You know that adding reviews to your website can benefit your overall business tremendously. Of course, if they are positive. Reviews and testimonials build trust in potential customers and might just be the last bit of information they need to get in touch with you or make a purchase. To simplify the process of adding reviews to your page, Site Reviews is the WordPress plugin that will take care of it. It allows your users to submit their reviews accompanied by a 5-star rating system. Core features of Site Reviews are pagination, support for Asian languages, comprehensive documentation and configurable widgets. No doubt, it will take you little time to make the review plugin go live on your website. There is also Google’s reCAPTCHA on the submission form to prevent spam. Regardless of the type of business you run, you can implement reviews and share with the world what amazing experience your clients and customers had working with you or purchasing from you. Whether it is a service, software or product, with WP Customer Reviews, you can introduce both customer testimonials and product/software reviews. What’s cool about this WordPress review plugin is the fact that you get to decide which review you would like to display and which to skip. This way, you can avoid adding negative comments which may harm your business. Other goodies that the tool brings to the table are full customization, compatibility with WordPress Multisite and caching plugins, spam protection and shortcodes. For your information, WP Customer Reviews is lightning fast, making sure not to slow down your website, keeping the outstanding performance intact. As the name suggests, Google Reviews Widget is a simple to use review plugin for WordPress that adds Google Business Reviews to your page. Moreover, it is a widget, so you can easily add it to the sidebar or even other locations of your web space. A neat function of Google Reviews Widget is that it stores all the Google Reviews that you import in the WordPress database. This way, the reviews are live at all times regardless of what is happening with Google. Google Reviews Widget is a free plugin for WordPress but there is also a premium addition to it for when you would like to unlock even more features. The plugin is SEO-friendly, allows you to trim longer reviews with a read more button and can show up to five Google Business reviews per location. It is also compatible with light and dark themes, mobile devices and modern web browsers. WP Review is a convenient review plugin for WordPress that will save you time and energy when creating new content. If you are a blogger or you run a review websites, this plugin helps you put together reviews for products and services. Along with the in-depth text, you can also add star rating, percentage or point rating. Additionally, WP Review is fully translatable so you can use it with any language you want. Out of the box, WP Review delivers two different box templates which you can customize further. From basic to modern, it is up to you how you would like reviews to appear on your website. Moreover, the layout is 100% responsive and flexible, supports unlimited colors and is fully congruent with caching plugins and a bigger part of all modern WordPress themes. If you would like to start releasing a new type of content, WP Review is a tool that will get you going. If you would like to add Facebook reviews to your website, here we have a plugin that does just that. And the installation and activation processes are so simple, anyone can do it. On top of that, Facebook Reviews plugin is free of charge and available just a click away. Bear in mind, to make it work, you need to have admin rights of the Facebook page for the plugin to pull out the reviews. Also, it works with the Facebook Graph API. When all is set, you will see Facebook reviews appear on your page almost instantly. Some other features of Facebook Reviews extension are pagination, shows reviews per location and even trims longer texts with the read more button. It is also in tune with the majority of modern themes for smooth integration. There are loads of review websites out there, all kinds, and reviewing books is surely a popular niche. If you are an avid reader or you run a food blog where you would also like to review some cookbooks, Recencio Book Reviews is the plugin for you. Of course, when it comes to reviews, the mentioned are just an example. There are also tons of different niches and industries that this extension works with flawlessly. What’s more, Recencio Book Reviews can also earn you money by adding your affiliate links. Other functions of the plugin are custom post for reviews, fetch book details automatically via ISBN (or add manually), 5-star rating and five different widget types. Additionally, readers can also leave a comment on your review and rate it accordingly. Recencio Book Reviews is translatable and GDPR compliant, too. Are you an app developer? AppStore Reviews will make it easy for mobile application developers to embed their application reviews into their WordPress website through the use of a simple shortcode. The great part about this plugin is that every time a review is loaded, it is also cached within the database. This means that the next time someone loads the page with the same review, instead of wasting resources, the plugin will display the cached version. No need to worry, though. The cache will update itself once more reviews have come in! This is also a great plugin for building sites that support application reviews, like a directory or a database of specific mobile applications. Easy Testimonials’ users enjoy the extensive list of testimonial features that lighten up the business experience for business owners and customers. It is an easy-to-use plugin that allows users to add testimonials to the sidebar as a widget or to embed them into a page or post using a shortcode. It also allows you to insert a list of all testimonials or output a random testimonial. Easy Testimonials allows you to include an image with each testimonial. This is a great feature for adding a photo of the testimonial author. The thing with many WordPress plugins is that sometimes it’s not about the functionality of each individual plugin, but rather the way it looks on our own choice of themes. The Handsome Testimonials plugin offers a more sleek option for displaying reviews and testimonials on your site by offering a range of modern and design-optimized review box choices. Use the testimonial generator to get real-time previews of the kind of testimonials you want to display on your website. TripAdvisor is, without question, one of the most recognized names when it comes to business reviews. Unfortunately, at this time, there is no real support for WordPress users. Part of the reason is that TripAdvisor itself provides a widget feature, which is basically a simple script generator for your business. It outputs the basic review information about your business, providing the option to display full reviews. This is definitely not the most convenient way to display reviews, at least for sites that are not so dynamic and content-friendly. Any other technique will require a developer. The guys at ThemeIsle have built a spectacular product review plugin to help webmasters review products in a simple and tasteful manner. Whether it’s the latest book by Stephen Hawking or the latest iPhone release that you are reviewing, WP Product Review PRO focuses on helping you build reviews that explain the essentials of the product you are reviewing while outlining the good and bad parts. Your community members can also become a part of each review and leave comments and their own experience reports regarding the particular product, thus helping you to generate more content at no cost at all. There are no restrictions for the way you can use this plugin, so you could very well use it to showcase your own products and collect reviews for them. Then, use the built-in widget features to display the reviews across the site. The post WhatsApp Chat Review: Add WhatsApp Chat to WordPress appeared first on Learn WordPress with WPLift. The post AccessAlly Pro Review: An All-In-One WordPress Course Creation Tool appeared first on Learn WordPress with WPLift.